Copyright ©2016 PopEntertainment.com. All rights reserved. Posted: July 22, 2016. The year is 2016. The world is changing in ways that people could have never imagined. A black man in President of the United States. Gay marriage is the law of the land. England has left the European Union. A reality TV personality with a bad toupee is the Presidential nominee of one of the major political parties of the United States. The other nominee is a woman. Her main competition in the primaries was a self-described socialist. A Jewish socialist at that. Many of the societal bogeymen are falling. And marijuana is no longer being stigmatized. 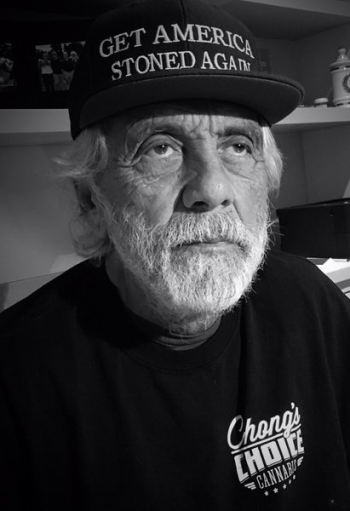 This is a time that Tommy Chong has been waiting for most of his life. After all, with his comic partner Cheech Marin, Chong has been on the front line of the weed counterculture for decades. However, today, more than half the American people support the legalization of marijuana. Not only that, 25 states have legalized marijuana for medical purposes. Of those, four states have also legalized weed for recreational purposes. Even in those areas that have not yet legalized pot, many have decriminalized possession. The dam has broken, and when it did it went shockingly fast. Past ideals and prejudices have been washed away. So, Tommy Chong, how does it feel? He has a right to do a victory lap, because Cheech & Chong are probably as responsible for the popular appeal of marijuana as anyone in popular culture. 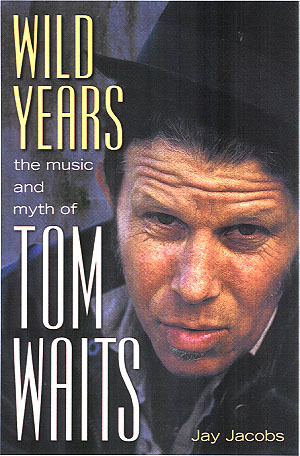 Starting in the beginning of the 1970s, the duo were stand-up comics during the boom era of comedy albums. After a series of bestselling records like Big Bambu, Los Cochinos and Cheech & Chong’s Wedding Album, they graduated into films in the 80s like Up in Smoke, Next Movie, Still Smokin’ and Nice Dreams. By the time they broke up in 1985, Cheech & Chong had done more for pot awareness than anyone. While Chong has always treated the drug lifestyle with humor, he was not blinded to the unfairness of the system. Though African Americans and Latinos did not use drugs any more than their white neighbors, the chances of those groups getting stopped, searched, arrested, prosecuted, convicted and incarcerated were way higher in those communities. Many people, Chong included, believe that this was a conscious effort on the part of law enforcement to focus on low-income, urban areas. Therefore, it is all the more pleasing to him that public and legal attitudes have changed. However, despite his previous bad experience in selling “paraphernalia,” now that legalization is taking over, Chong is back in the weed business. 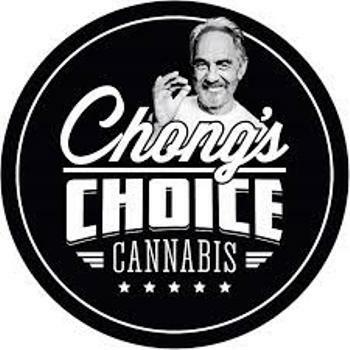 Actually, in two ways, having a company with his old partner as well as his own brand, Chong’s Choice. But how does someone get it? Will they be in stores in states like Colorado and Washington and Alaska? Chong is looking at Chong’s Choice as a businessman, and yet he also realizes that he is on the ground floor of a new frontier. Many people believe that when the marijuana industry becomes big and profitable enough, big pharma and maybe even the tobacco companies may try to move in and muscle out all of the smaller vendors. Surprisingly, Chong welcomes the competition. “Listen, it's dog eat dog in the capitalistic world,” he said. “It's like fish in the ocean. If you're a small fish, the bigger fish are out to eat you. But if you're smart, you will grow into a big fish. Just because you grew pot when it was illegal, no one said that when it was legal that you are going to get any kind of head start. That's not the way it works. Welcome to the capitalist system. Big pharma is the big fish. Chong’s home state of California appears like it may be the next state to legalize marijuana for recreational usage. California had previously been the first to legalize medicinal marijuana – way back in 1996. Chong mostly likes the idea of his state being the next domino to fall. Of course, this has been a particularly crazy period in American politics, with the far right Tea Party trying to do away with many rights that have already been established. Add to this a crazily divided general election – Chong had been a Bernie Sanders supporter – could the outcome of the elections change the direction of so much of the progress of the cause? Chong is quite certain that will not be the case. “Not at all,” he said, firmly. “Not at all. Look at it this way. We lived through George Bush. We lived through Richard Nixon. Nixon was the one that started this war on drugs. He formed the DEA (Drug Enforcement Agency). These are racist Presidents that supported racist policies. I mean, we've got Donald Trump there, but Donald Trump really is a media invention. He has created such a bonanza for the media, simply because he is the perfect candidate to insure that Hillary is going to be the next President.” He laughed. Years later, Chong laughs when I remind him of that line. Surprisingly, he actually has a very healthy attitude about the arrest. It did, indeed. Almost 20 years after Cheech & Chong broke up, he and Marin started performing together again. Chong also landed a role – written with the actor in mind – on the hit sitcom That 70s Show. (The role actually started a few years before the arrest.) 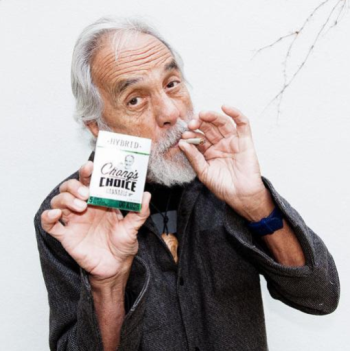 Suddenly Tommy Chong was back on top. Or at least somewhere in the middle. Even in Cheech & Chong’s glory days of releasing records – they even had hit singles with such comic bits as “Earache, My Eye” and “Sister Mary Elephant” – much of the success felt like a surprise, almost a fluke, to the comedian. Cheech & Chong broke up in 1985, but in the last decade they have started working together again. In some ways, Chong says, it felt like they had never been away from each other. For a younger generation, Chong may be better known for his role of Leo on the popular long-running sitcom That 70s Show. Another opportunity, just this year, to come in and go to work, was in the supporting role of Yax in one of this year’s biggest animated films, Zootopia. Just like That 70s Show, the opportunity happened because the filmmakers liked his persona. 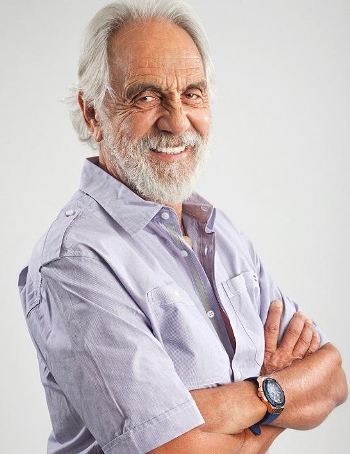 Last year, Chong did a new internet talk show called Almost Legal with Tommy Chong. However, even with all this stuff going on, Chong is ready to slow down now and reap the benefits of a life well lived. #1 © 2016. Courtesy of AGPR. All rights reserved. #2 © 2016. Courtesy of AGPR. All rights reserved. #3 © 2016. Courtesy of AGPR. All rights reserved. #4 © 2016. Courtesy of AGPR. All rights reserved.